When we have decided that we wanted to get a 3D Printer to test and experiment with we were faced with the hard task of choosing the make and model and believe us this is not an easy thing do to with so many available options. There are already quite a lot of cheap Chinese made 3D printers available, however looking for support and information as well as replacement or upgrade parts could be a problem with these and many users are often reporting reliability problems. Then there are of course some very expensive printers as well as there are a few different types of technologies available for 3D printing, though the most accessible and easy to use is the fused deposition modeling (FDM) where the 3D printed part is produced by extruding heated thermoplastic filament material which hardens immediately to form layers. The thermoplastic materials used as filament for 3D printers can vary, but they are all a type of plastic which becomes moldable when heated to a specific temperature and then returns to a solid state when cooled down. 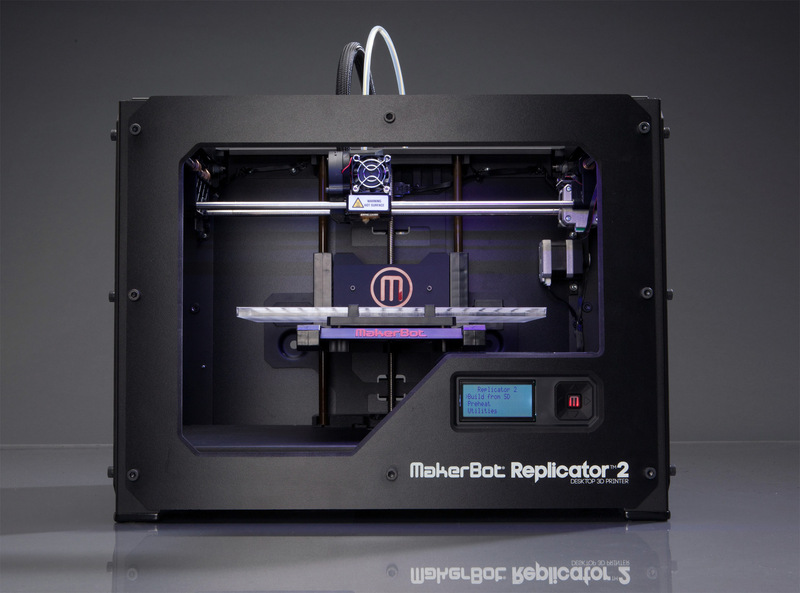 Such thermoplastic materials used by 3D printers that rely on the FDM principle are for example ABS, PLA and others. When we were choosing our first 3D printer we had a few important requirements – reliable hardware, larger user base, support for more common filament types, wider software support and not too high price. Obviously the low price was not among the most important things we wanted, we preferred to go for a more expensive and proven to be reliable hardware, but not too expensive as this was our first 3D printer and we did not want to invest too much in hardware that we might end up not very happy with. We did not want to go for a just released new model of 3D Printer as although these can be quite attractive specifications wise, you usually cannot find a lot of user feedback about them and they could have various issues that need to be fixed before they are really working well. 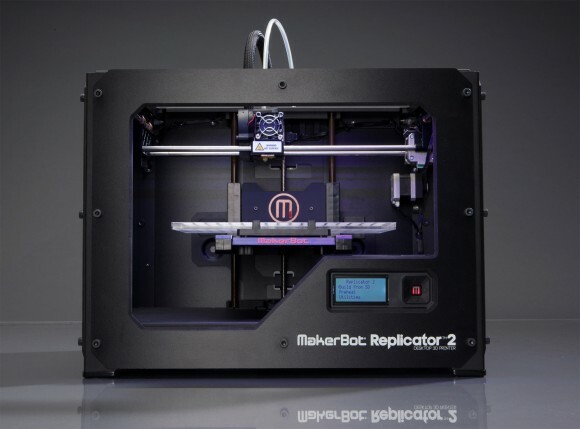 So after reading various user opinions and checking around the most recommended models we have settled to go for a MakerBot Replicator 2 3D printer as being available already for quite some time. It is one of the most recommended choices for a first 3D printer, though it might still need some extra work and is far from perfect, but being often recommended as a good choice and it pretty much covered our requirements, so we’ve settled for the Replicator 2. After using it for a while already and trying and learning a lot of things on the go while printing various things we still consider it as a good option for a first 3D printer, even though MakerBot already has some new more advanced models available, the Replicator 2 is still a good starting point.